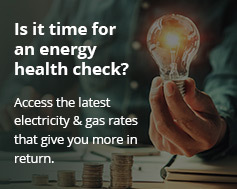 A panel member on the ABC’s Q&A program has confronted Federal Resources Minister Matt Canavan with her solar electricity bill to show how she beats the cost of coal-fired power. 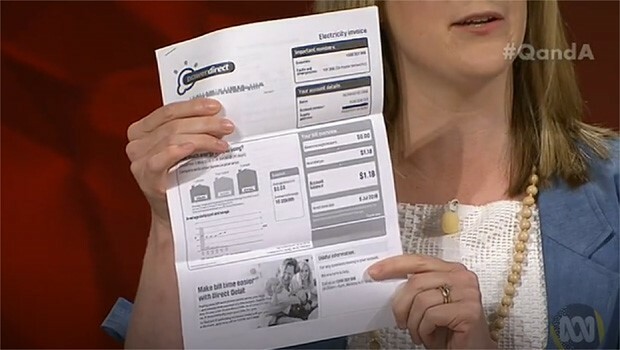 Victoria Fielding, a South Australian marketer, showed the minister her latest electricity bill. Thanks to her solar power installation it was in credit by $1.18. Canavan is a strong supporter of coal-fired power stations. Fielding, chosen from the public for a special ‘People’s Panel’, said her family paid off the panels monthly over four years. She also said they do not use coal-fired electricity in their home for “serious practical reasons”. As you might expect, this led to a back-and-forth discussion on the price of coal power. The panel also discussed the price of gas and the National Energy Guarantee (NEG). One panel member asked how introducing a coal amendment (as suggested by some party members) to the NEG would reduce power prices. The discussion then shifted to Tanya Plibersek, Deputy Leader of the Opposition. Plibersek stated that Labor does not support subsidies for new coal. This is because the capital needed to build new coal plants must be repaid. This factor was also pointed out by NSW MP Clayton Barr last week. According to Barr, building new coal plants would push the price of electricity up 30 to 40 per cent higher than for new wind and solar power. Plibersek also said energy prices are increasing because of policy uncertainty, which makes investors hesitant. She pointed out that according to the ANU, by 2020 solar power will cost around $50 MWh. Coal, however, will cost 50 per cent more at $75 MWh. With all the uncertainty around energy policy, we know one thing for certain: grid power keeps going up. While our leaders argue about the best way to tackle this, many Australian households and businesses are taking matters into their own hands by installing solar panels on their rooftops. For many consumers, these solar installations are drastically reducing their bills. Much much in the way Victoria Fielding reduced her bill to less than $0. Watch the Q&A program on Power costs here. The segment on power costs begins at 35:20.